Dessert plates aren't usually part of a dinnerware set. 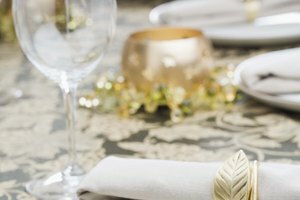 When considering a proper table setting, every dish has a specific purpose, a distinctive size or other distinguishing characteristics. 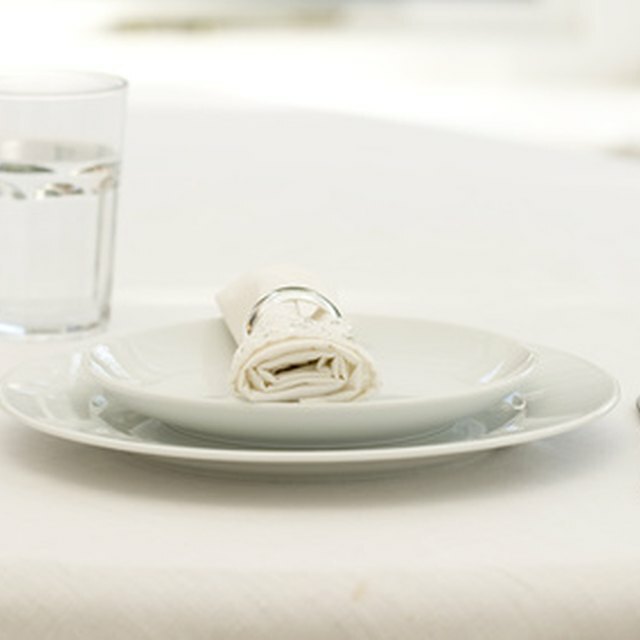 How meals are eaten has definitely changed, but table etiquette remains much the same. In comparing modern salad plates with modern dessert plates, the size is similar, but that's where the similarities end. They're distinctive dishes not intended to be used interchangeably. There are two basic types of salad plate: the round salad plate and the crescent salad plate. The round salad plate is either 7 to 7½ inches in diameter or 8 to 8½ inches in diameter. The round salad plate comes as part of the dinnerware set, matching or complimenting the design of the larger dinner plate. The less common crescent salad plate is shaped like a quarter moon and measures approximately 4½ to 6 inches wide by 7 to 8 inches long. 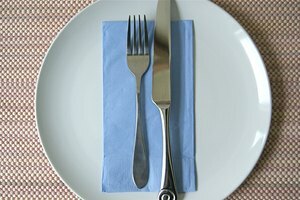 The shape allows it to rest up against the dinner plate, and helps reduce spills onto the tablecloth. The dessert plate has gone through a distinct transformation throughout history. Going back to the 17th century, European dessert dishes included bowls, tureens, cups and plates, made of different materials to fit the type of dessert being served. The dessert often consisted of multiple courses. As dessert paired down to just one course over time, the dessert plate became the standard. Modern dessert plates measure 7¼ to 8½ inches in diameter. Like their 17th century counterparts, they're noted for being ornately decorated, presenting the diner with a fanciful conclusion to the meal. 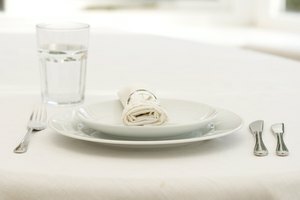 At a formal meal, the place setting starts with the placement of the service plate, also called a charger, alongside utensils, glasses and a napkin. The salad course usually comes on a round salad plate and is delivered onto the large service plate. This is true whether the salad course is served before or after the main course. The service plate is typically removed after the main course, and dessert is served on a fancy dessert plate and placed in the center of the place setting. 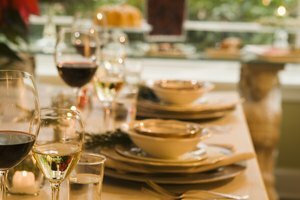 At informal sit-down meals, most of the plates are already on the table when the guests sit down. The dinner plate is the center of the place setting, and the salad plate is placed to the left. The dessert plate sits just above the dinner plate in many cases. When the dessert plate is not placed on the table before the meal, it arrives after the dinner dishes have been cleared. It then goes in the center of the place setting. Mary Potts has been a writer since 2008. She writes food reviews, chef profiles and feature articles ranging from green living to arts and culture for "North Bank," an urban lifestyles magazine based in Vancouver, Wash. Potts earned a Bachelor's degree in photography from Northern Arizona University in 1997. Potts, Mary. "Salad Plate Vs. Dessert Plate." 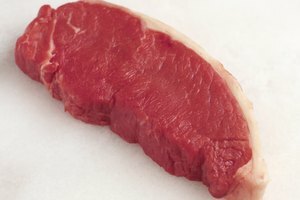 Synonym, https://classroom.synonym.com/salad-plate-vs-dessert-plate-12088065.html. 29 September 2017.